Eagle Rock’s sole speakeasy is a haven of excellence. 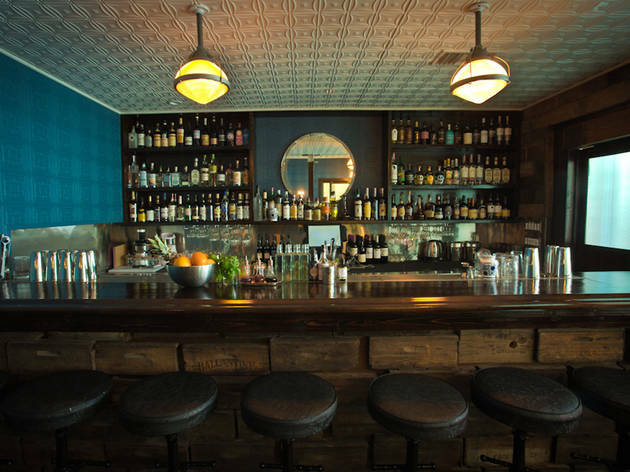 Eagle Rock’s lone speakeasy opened in mid-2016 and is appropriately hard to find. Standing at the corner of Colorado Boulevard and Casper Avenue, you won’t find a sign for Room 31—they just don’t have one. Instead, on the southwest corner of that intersection, look for a neighborhood sports bar called 5 Line Tavern, whose staff keeps an eye out for visitors dressed a little better than their jeans-and-T-shirt-wearing regulars. You’ll be led to the back of the tavern, where an imposing wooden door on your right slides open to reveal a small, candle-lit room with 20 seats, five cafe tables and rows of proud liquor shelves surrounded by antique decor. 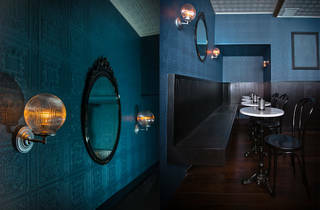 Once seated, the hyper-intimate area creates the feeling that you’re hiding in plain sight—the perfect environment to plan a coup or, perhaps, sketch out the next great American novel. 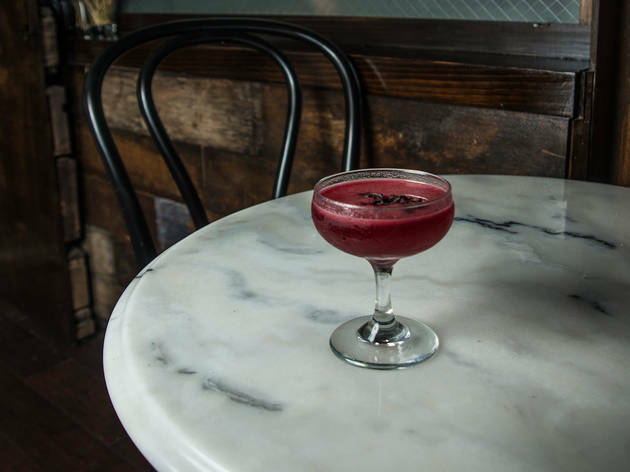 The drinks are meticulous, prepared with an other-worldly attention to detail, a rare level of pride for a high-quality product but at an affordable Eagle Rock price. 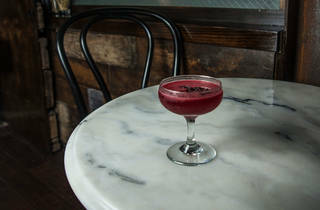 The speakeasy trend may be a tad overplayed, but we're welcoming this newcomer with open arms. The scene: The room’s warm intimacy evokes a level of privacy rarely found outside the home. The passing shadows on the wall of clouded windows Room 31 shares with 5 Line are of sports fans unaware of the Prohibition-era diversion 20 feet away. Room 31’s popularity is growing, but the manageable crowd (rarely more than nine other people) suggests it’s still largely unknown. 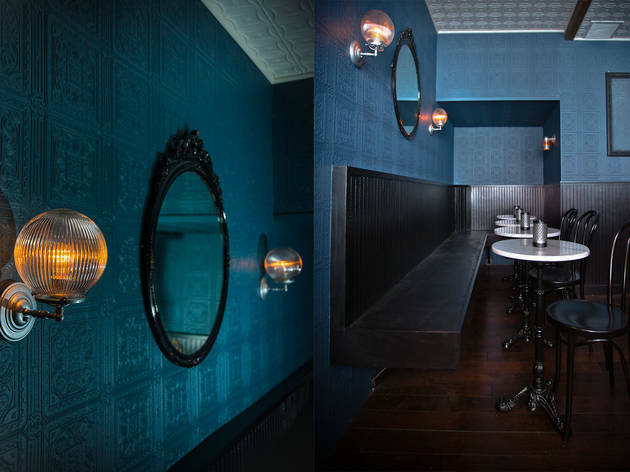 The tables are marble, the seatbacks are wainscoting, the circular mirror behind the bar is beveled, and the ceiling is tiled in cream. No detail was left to chance, keeping each patron in a 1920s frame of mind. Good for: A lovers nook in one corner is perfect for a romantic date, an escape from the kids or to plot the takedown of a maniacal mob boss. The cocktail-centric menu also carries an array of five beers, red and white wine, rosé and an elegant menu of finger foods at $5 each. 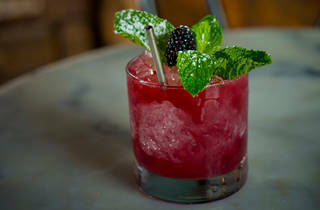 Drink this: The Blackberry Smash ($11) is favored for its magnificent balance, fresh pop of sweetness and mint leaves dusted with powdered sugar. Not to be outdone, the Green Thumb ($10) is a triumphant poolside drink, made with vodka or gin, cucumber and lime juices, and house basil syrup. 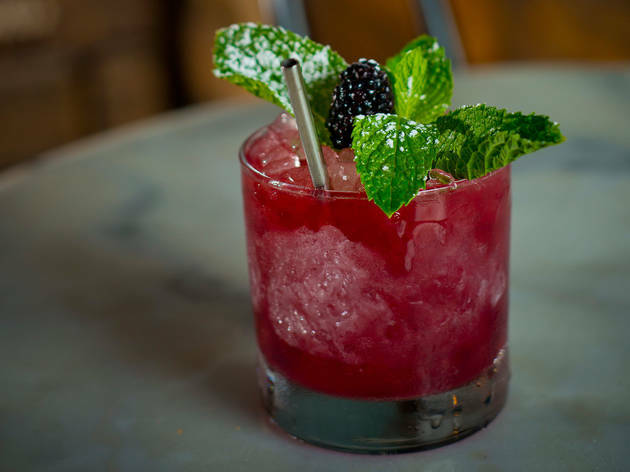 Rhubarb bitters gives it a sophistication and maturity that blends the drink and its drinker right into their surroundings. Our tip: At least once, go off menu and let the eager mixologists show off with one of their "Let's Collaborate" concoctions ($10-$14). When prompted, head bartender Marcos whipped up a Gold Rush that perfectly balanced bourbon, lemon juice and honey syrup, a trifecta of classic flavors upon which many time-honored cocktails are built. I wasn't expecting Room 31 to be so tiny, but it's size doesn't diminish how fantastic the cocktails are here. As soon as we sat down, the friendly bartender came over and gave some advice on which drinks might suit our taste. When they came out, I couldn't believe how incredibly balanced they were. Yes, it's behind a sports bar, and it's a little weird seeing shadows of football fans behind the divider, but it still remains a charming cocktail bar in Eagle Rock where customers - and drinks - are put first.